The Ohio State University Marching Band performed another fantastic routine during the Ohio State Buckeyes vs. Penn State Nittany Lions football game on Saturday, October 26, 2013. During their “Hollywood Blockbuster” halftime show, the band performed a tribute to the powerful 1978 superhero film Superman, the Harry Potter film series, and even made time at the end to take a jab at their rival team, the Michigan Wolverines. 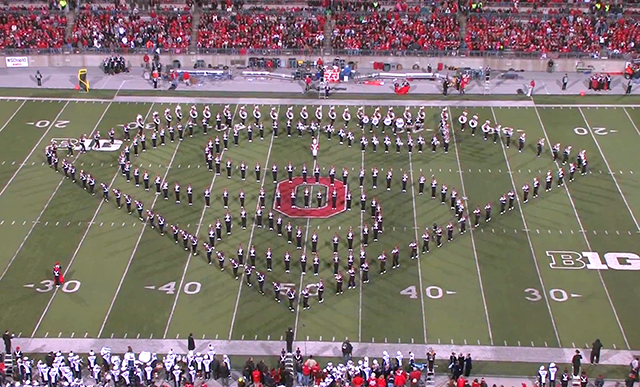 Previously, we’ve written about The Ohio State University Marching Band and their creative halftime shows.